Stage and Video Productions to shake up Fort Wayne, Indiana! and TekVenture Open House & St. Patrick's Day Irish Games and Tomfoolery! Hello! You are invited to an Actors Reunion of all my present and former actors of The Firehouse Theater, Ecstatic Theatrics, TekVenture, and Shoestring Theater from the 18 years I have been directing theater in Fort Wayne. Family and friends are welcome. St. Patrick's Day, Sunday, March 17, 2019, 2 to 6pm. 1550 Griffin St., just south of the Tecumseh bridge east of downtown. Meet up with your old cast members and other actors from other shows, from Wizard of Oz, Dr. Frankenstreudel, Christmas Carol, Frog Prince, Alice in Wonderland, It's a GOOD Life, Harry Potter and the Obnoxious Voice, SNAFU in Santa's Workshop, Monty Python, Cobb and the 12 Dancing Princesses and dozens more. I will have lists of our past shows and casts, and will play videos from old shows as well as lots of other games and activities. It is at my bigger and better stage at TekVenture, a maker space with all kind of workshops in which I can make theater sets, sew costumes, and do welding, blacksmithing and electronics, and my actors enjoy playing in the clay at the ceramics shop as well. 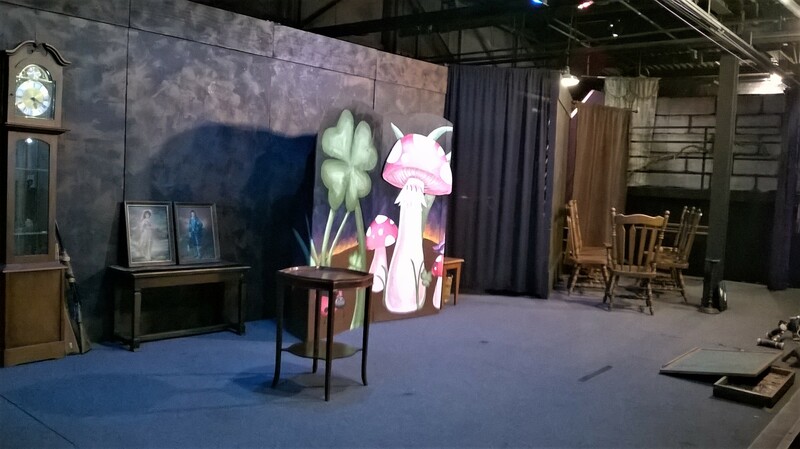 The stage has a purple velveteen front stage curtain, scenery, controllable lighting, a balcony, two dressing rooms, a large audience area and plenty of chairs, huge parking lot, large restrooms and is audience handicapped accessible. My rent is 3% of what it was at the Firehouse. 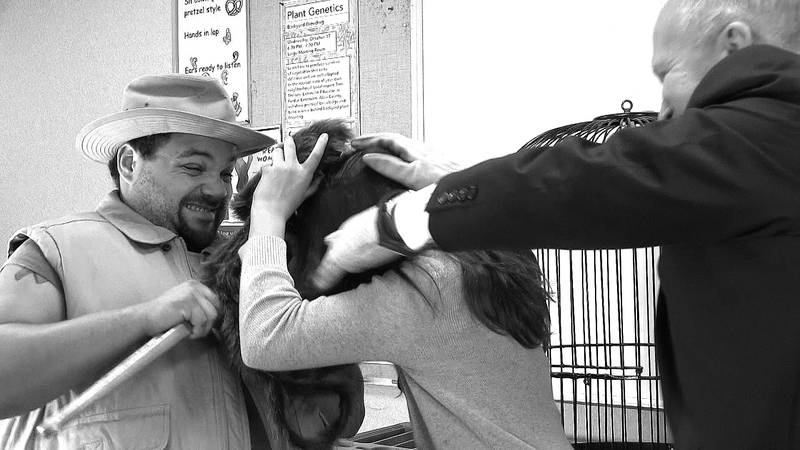 This Actors Reunion is part of St. Patrick’s Day Tomfoolery at TekVenture. 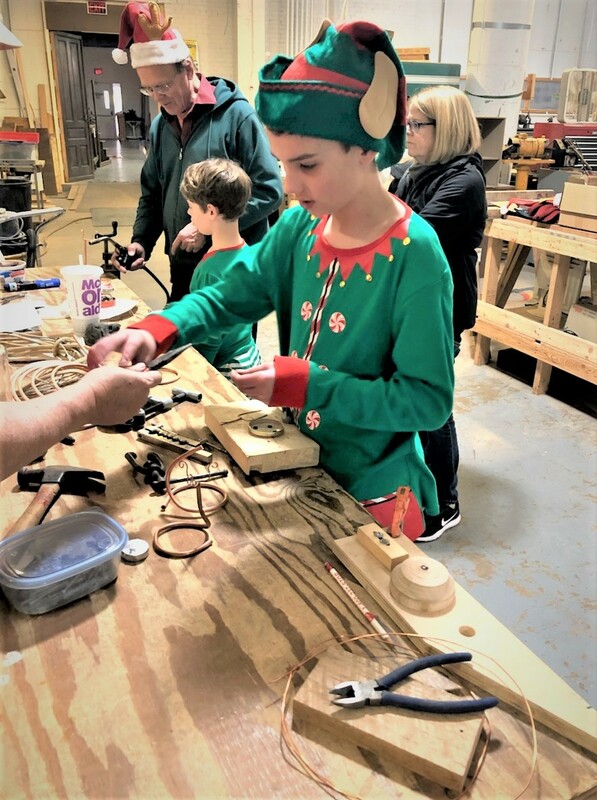 Enjoy family friendly Irish themed games & food, try medieval swordplay, tour the wood, clay, blacksmithing, welding and other workshops and make stuff with the Workshop Makers at “St Patrick’s Day Tomfoolery at TekVenture”, 1550 Griffin St., Fort Wayne, in the old River City area, Sunday, March 17, 2 to 6 pm. Free except food and craft materials. plus gift-making, games, and photos w/Santa. The Reindeer, Elves and Santa go from panic to creative risk taking when all the toys are accidentally destroyed! Will Quigley's new invention save Christmas or ruin it forever??? 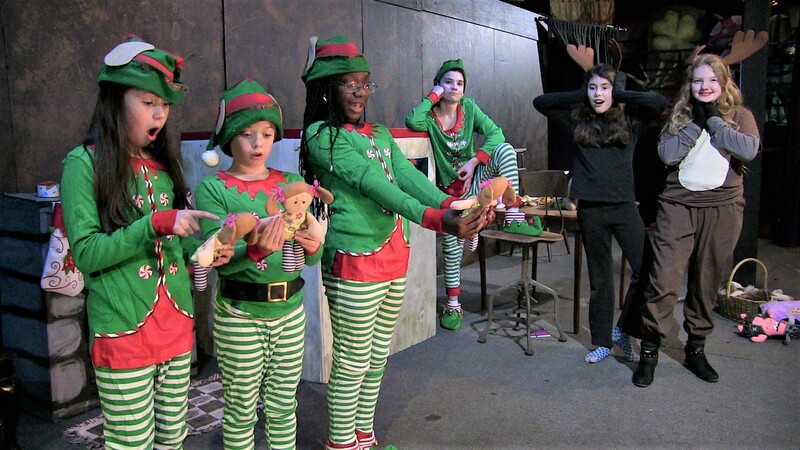 PHOTO: Elves (Maeve Ohlinger, Oliver Welch, Suri King) examine the toys from the Dooplicator built by Quigley (Korbin Reust), thrilling the reindeer (Nigella Shearer-Wilds and Riley Huffman). 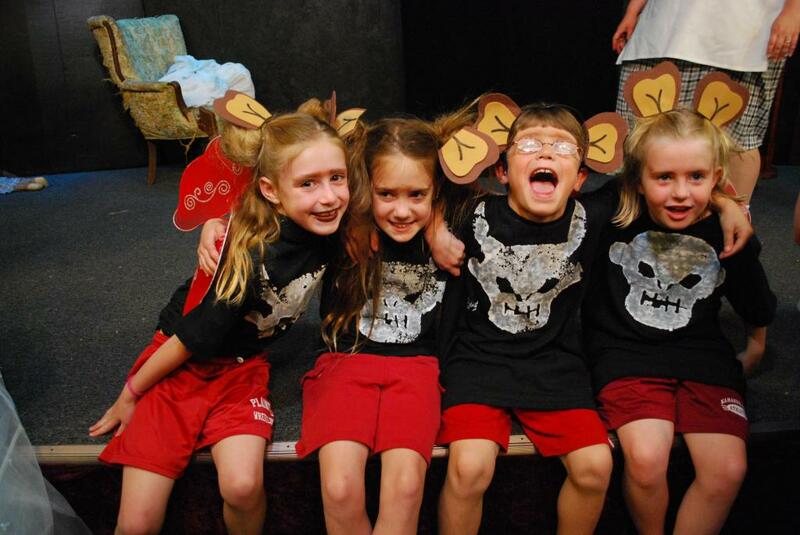 Not shown are Kiera Hancock, and Brooklyn Keupp as Reindeer, Ashlyn Reust as the Storyteller, and Isaac Lengacher as Santa. GAMES: Jump Rope Tornado, The Pit of Pendulums, The Ogre's Bridge, Gears, 4 way Chess. 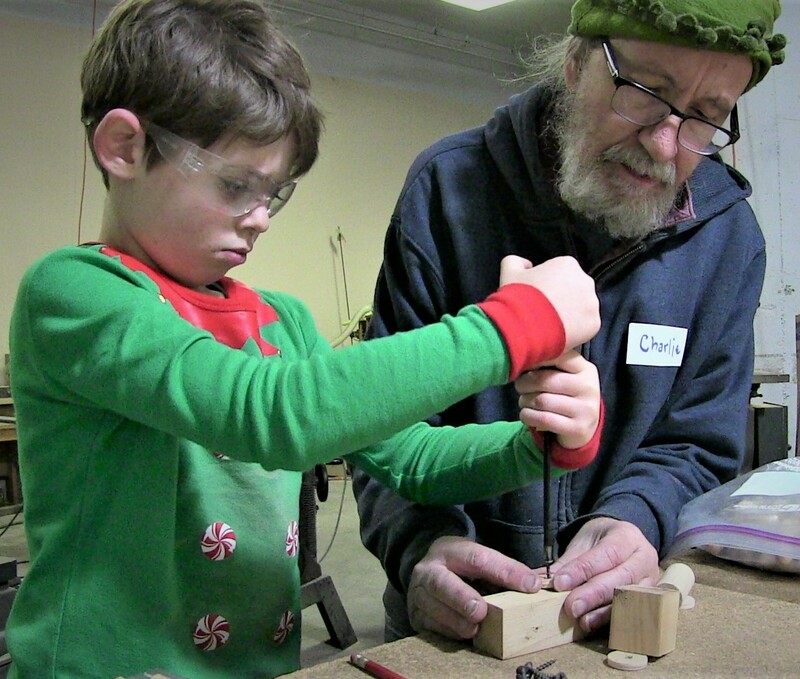 GIFT-MAKING PROJECTS: Clay, Christmas Tree Ornaments, Copper Candle Holders, Magic Magnet Motors. **Questions? Contact Jeannette Jaquish at 260 750-9013 or ecstatictheatrics@yahoo.com. Who Framed Lucky the Leprechaun? and parodied on "The Simpson's Treehouse of Horror II, 1991"
NEED ACTORS age 6 to 76. The omnipotent child may be played by a girl or a boy. "Don't Look in the Lake"
Lousy food, mean counselors, dead possum art projects, electric fences and hoeing the tobacco fields. And just when the week is almost over, the campfire stories start coming true. Prince Charming tosses questions to Cinderella, Snow White and Rapunzel to pick his Dream Date . . . . Nightmare! "Strange Time at the Science Fair"
The little science nerd says his invention can control time. "Little Red Riding Hood and the Bad Idea Shortcut"
Gladys wants a ghost to haunt the castle she inherited. Daddy hires a mystic to fake it. What could go wrong? QUESTIONS? Contact writer/director Jeannette Jaquish at 260 750-9013 cell, or 260 484-5946 home. Several of our actors appeared in funny campaign videos I produced. at TekVenture, 1550 Griffin St., 46803. I am bringing "Toto". We will see who still remembers his real name. TekVenture actors may have already received an emailed invitation, but if not, if you like, you can sign up to bring food or to help at Sign up. Not required. ORDER DVDs of Christmas show and Harry Potter parody! A New Charter School is coming to Fort Wayne! Academics mixed with Hands On Activities. 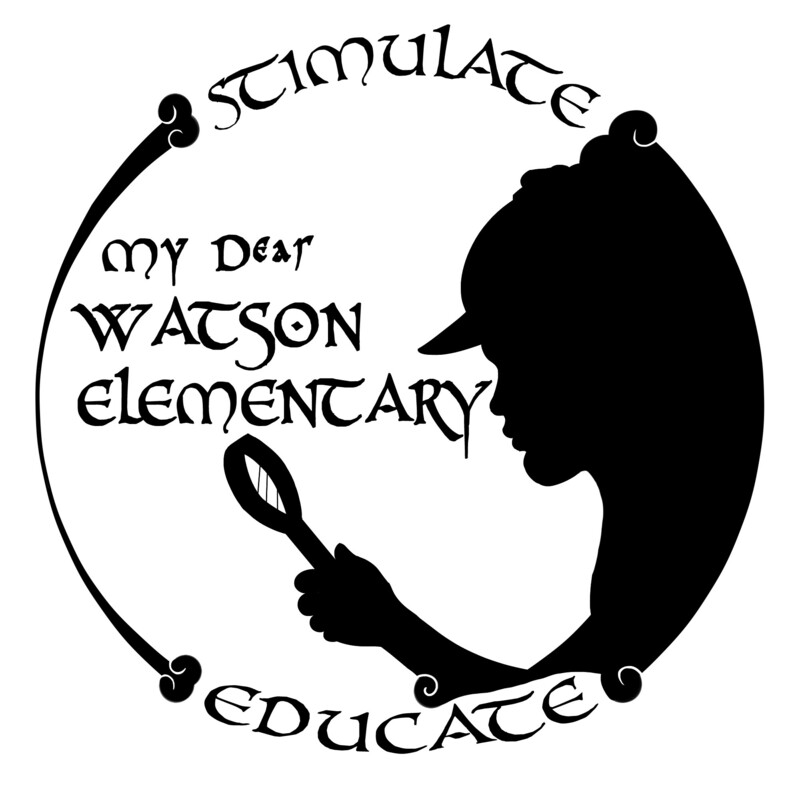 - Teaching the standards using exciting history & science story/facts, practiced in action games and quests. - Kids learn life skills and problem solving. Do tools, dance, music, business, gardening, cooking and construction. - Starting with 2 grades, expanding to K-5th grades. - Day School 8 to 3pm & Evening School 4 to 11pm! Sports 3 to 4pm. - Bus rides for most students, plus weekly field trips for every student. - Planning for the 2020-21 school year. - Complying with ALL public school regulations. - This is a FREE charter school education. Before starting Ecstatic Theatrics, I ran the Firehouse Theater in Fort Wayne for 3.5 years, producing 78 shows/305 performances, until closing Feb. 2010. 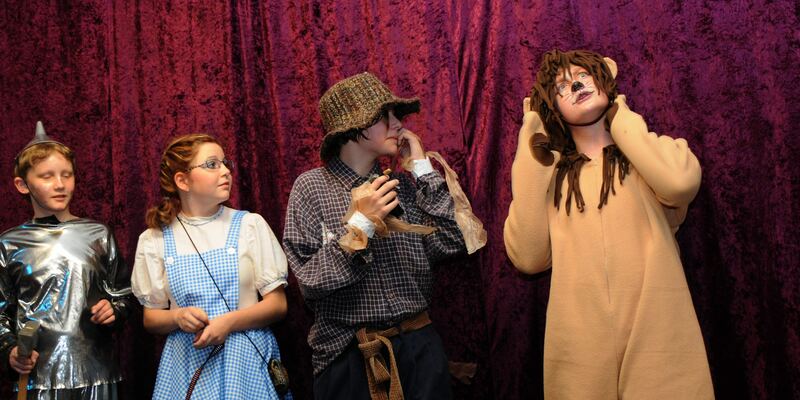 Since then I produced "Don't Look in the Lake" at Fright Night 2011, "The New Wizard of Oz Musical" at the University of St. Francis and the Main Library auditorium, "Harry Potter and the Obnoxious Voice ~ the sssPOOF!" at Franke Park, and a Christmas show at the Main Library in 2012. In 2013, I did "Slipperzzzz! Cobb and the 12 Dancing Princesses" at Cinema Center. In 2014, I produced three plays at the Red Barn Theater in Tucson, AZ: "The New Musical Wizard of Oz", "You Don't Bring Me Flowers Anymore" and workshopped a new science fiction script. In 2017 I discovered an unused stage at TekVenture's new location in the old River City nightclub. I cleaned it up, installed a curtain & pulley system, lighting, scenery and stairs up to the stage. Their workshops in wood, metal, welding, electricity and sewing are perfect for a live theater. In October 2017 we performed "Harry Potter and the Obnoxious Voice" with new scenes for a Bellatrix subplot, and have continued performing there since. See details at HISTORY. *QUESTIONS? -- CONTACT Jeannette Jaquish at 260 484-5946, or 260 750-9013, or at ecstatictheatrics@yahoo.com. -=-=-=-=-=-=-=-=-=-=-=- See Jeannette Jaquish's scripts at www.theaterfunscripts.com. VOLUNTEER or get on the EMAIL LIST! Join the local Shadowed Stars Shire of SCA - Society for Creative Anachronism for battle and medieval dance practice. IMPROVE YOUR ACTING and VOICE SKILLS! Volunteer to be a Radio Reader for the visually impaired! NorthEast Indiana Radio Readers Service -- NEIRRS -- can be reached at (260) 421-1376 and is located at 7615 DiSalle Blvd or go to http://www.acpl.lib.in.us/neirrs/. They provide daily live readings over sideband radio for the visually and print impaired.